If you had asked me last week to draw up a list of the most overrated modern artists, Alberto Giacometti would have been on it — alongside Chagall, Rouault, Dufy, Henry Moore, the usual suspects. But that was last week. Since then, I have wandered transfixed through Tate Modern’s redrawing of Giacometti’s outline and happily changed my mind. The problem with him, of course, is the sheer ubiquity of his “stick men”. After his death, bronze casts of his sculptural anorexics were churned out in daunting numbers. And, as with that other mass producer of thin men, LS Lowry, there were serious issues with authenticity. 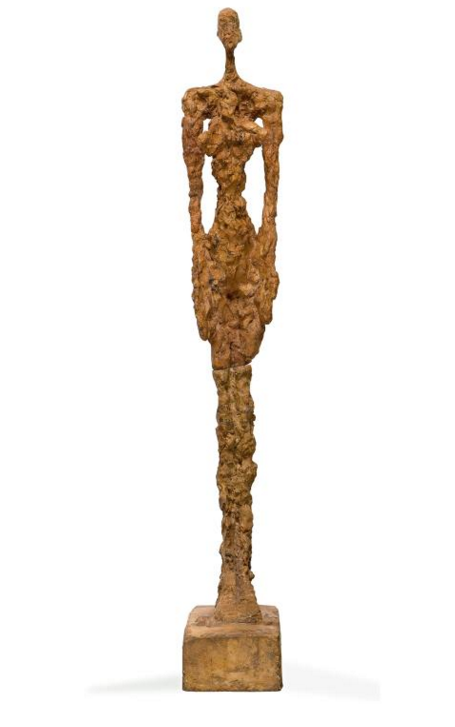 Giacometti’s “stick paintings”, meanwhile, seem entirely interchangeable, with thinny after thinny blurring into a faceless crowd of “almost there” vertical humans. Add a joyless postwar colour scheme of beiges and greys, and you have a damp cloth of a painter-sculptor whose existential vision of the world appeared fixed in the concrete of the 1950s. 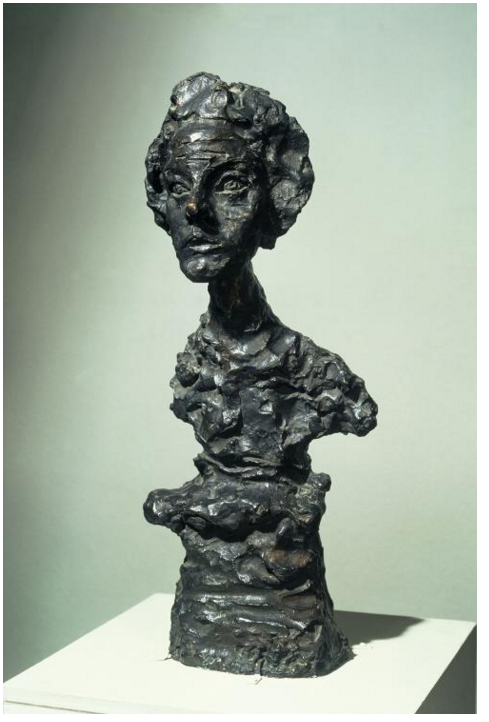 I don’t imagine any Giacometti show will ever be able to challenge fully the impression that his work became repetitive. Not even this fine effort at the Tate. But by leaving the bad news to the very end — to the fade-out — and by enlarging his prior achievements, giving them room to breathe and impress, the organisers of the current event have successfully revealed a different artist. More than that, they have made it possible to view the final “stick men” in a different light, a truer light, and to understand them as an especially febrile and curious response to the visible world. I have had cause before to applaud Tate Modern for the manner in which it mounts these grand look-backs at the careers of the big hitters of modernism. It really has perfected the format. While sticking to a loose chronology, the shows are broken up as well into separate displays, distinct moments with their own point to make. Thus the big picture is assembled from a cluster of smaller pictures. We get the broad effect. But we also get the details. Here, we start with a clever coup de théâtre, a selection of heads from all the phases of Giacometti’s career, arranged on tall plinths to form a forest of vibrating likenesses. Different physiognomies. Different materials. Different styles. Different people. 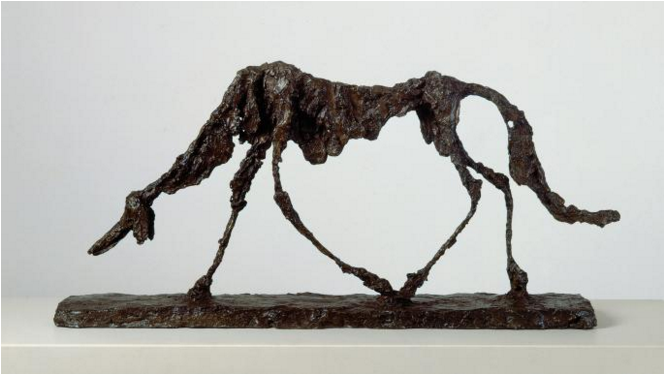 Giacometti was born in 1901 and died in 1966. So his life was unavoidably flavoured with the bleakness of two world wars. But the doomy mood that characterises his stick-man phase was a late arrival. In his first incarnation, he was questing and excitable. An early portrait of a schoolfriend, made when he was 14, shows off his precocity. His sister is fragile; his mother cubistic; his father hieratic. The various women in his life — and there were a lot of them — look more numerous still because the same lover might be treated in a range of styles. Thus the opening crowd of heads creates an impression of adventurousness and variety. Looking around for examples to follow in this busy skip through the styles, the young Giacometti, like so many of his contemporaries, went shopping in the overstocked supermarket of approaches that is “primitive art”. An engrossing set of desktop sculptures arranged in a long line — so you have to pass along them and inspect them like a sergeant on a parade ground — never repeats the same global influence. This one is based on an African mask. This one has something of the tiki about it. This one is a straight steal from Cycladic art. Thus the exhibition quickly bangs home what seems to be its main point, which is that Giacometti was a much more varied and questing artist than we usually remember. It’s smart curating. All the while, however, there is something else going on that has nothing to do with the arrangement of the show and everything to do with Giacometti’s peculiar way of seeing. It’s tricky to describe. Here’s my effort: he seemed to notice things from a distance, not just with his eyes, but with his fingertips as well. Imagine tapping the point of a needle with an outstretched hand and wanting to convey the pricking sensation. So much of what he made feels as if it is a test of faraway spikiness. In his final phase, it’s what happens in his stick men. The finest moment of this peculiar sensation, however, arrives in his surrealist years, when he produced some of the strangest and most unlikely sculpture anyone has ever fashioned. In 1932, he turns an Easter Island head on its side and creates a landscape from its points and angles. That marvellous and funny sculpture The Nose makes something absurdly effective out of the daft idea that noses protrude beyond the limits of the face. Woman with Her Throat Cut scuttles about the ground like a scorpion, but feels also as if it might be describing an oesophagus that has been slit open. It’s a violent thing, a roadkill sculpture that continues to squirm as you look down on it. All this is edgy, unique and impressive. Even the hilarious wartime decision to produce sculptures so tiny, they could be carried around in a matchbox has a point when understood as a need to record reality from afar. Making sculptures that address the fact that the further away things are, the smaller they look, is inspired craziness. No wonder Giacometti was adopted by Sartre and co as the patron saint of existentialism. At the heart of his aesthetic is a sculptural determination to keep his distance. Having dreaded the first appearance of the stick men, circa 1945, I am happy to record they are as impressive initially as everything that precedes them. Among the show’s best rooms is the opening stick room, in which a set of tall, thin bronzes shimmers and vibrates like a television picture on which the vertical hold has slipped. Falling Man, from 1950, is an attempt to capture that difficult sculptural moment when a figure starts to tumble. It’s like watching a slo-mo on Match of the Day of Vardy doing one of his dives. A brilliant thin sculpture called Figurine Between Two Houses seems to have borrowed its architecture from a classic 1950s radiogram. Giacometti’s stickies are usually understood as a sculptural reaction to the war and its darkness. Every thin man, we are encouraged to suspect, has absorbed the moods of Auschwitz and survived the deprivations of the Warsaw Ghetto. Equating thinness with starvation, physical and spiritual, is a natural assumption. But it’s clearly not what’s going on. Instead, I left the show suspecting that, for Giacometti, thinness was a kind of self-portraiture. Every sculpture or painting of a thin someone else was also an evocation of the thin him — his distance from others, his sense of separation. The sitters become interchangeable because their impact on him is always the same. They are always over there. And he is always over here.